We have a wide range of venues for your Meeting in Wales, from intimate suites for private one to one meetings to larger spaces for bringing together the full board. The following are just a few of our favorite Welsh venues but get in touch today with your requirements and our team will be happy to help you find the perfect solution for you. Why not inject a little luxury into your next business meeting by hosting it at an AA Five Star, Relais & Chateaux luxury country house hotel? 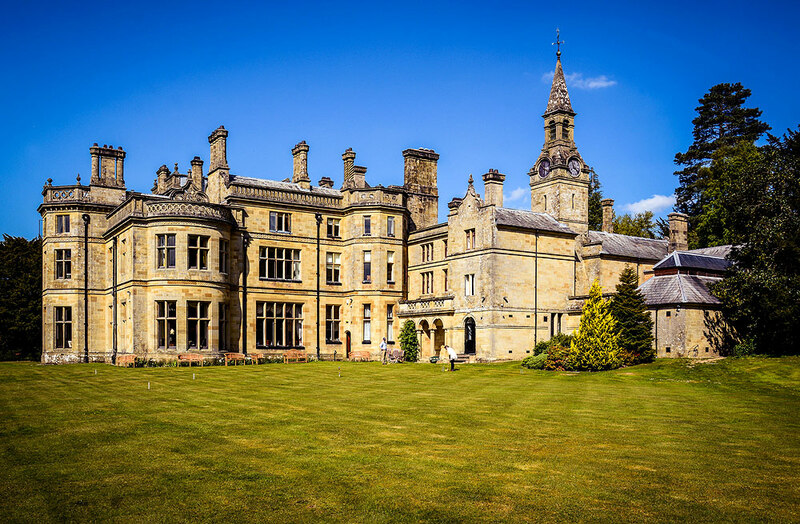 Pale Hall is a Victorian mansion situated in the tranquil Dee valley on the edge of the Snowdonia National Park. When business is done why not partake in an on site activity such as archery or clay shooting or go a little further afield for some real thrills such as white water rafting. Enjoy dinner in the fine dining restaurant and extend your stay in one of the luxurious bedrooms. Private dining can also be arranged as can team building activities as required. Gladstone’s Library is a residential library and meeting place, founded by William Gladstone and Britain’s only Prime Ministerial library. There are a number of meeting rooms available, the smallest of which are the Wickham Room and Robinson room which can both accommodate up to 6 delegates. Slightly larger is the Anwyl room which caters for up to 16 or the Glynne Room which can take up to 20. The Chapel can accommodate up to 40. Gladstone’s Library is one of the few Grade I-listed buildings in North Wales. 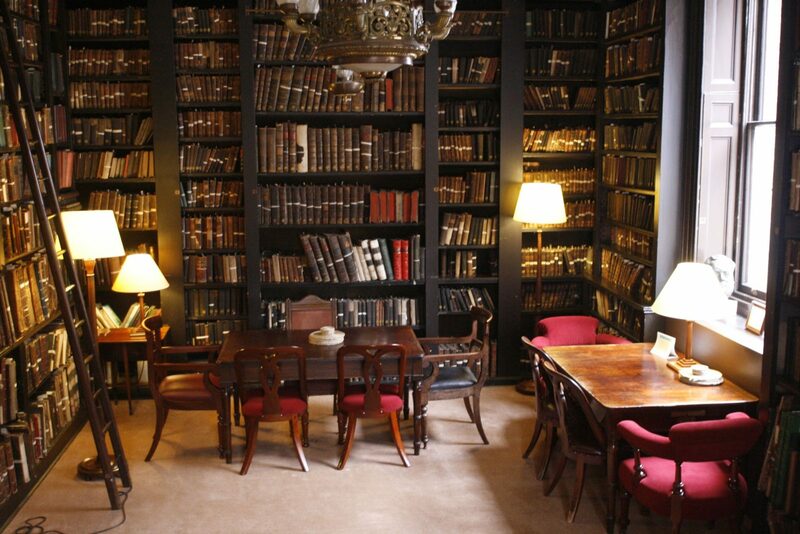 You can even stay on site at this unique location as they have 26 boutique bedrooms and residents enjoy extended use of the Reading Rooms until 10pm (5pm is closing time to the general public). This incredible castle has changed hands only once since it was built c1200 by the St. John family and still lived in as a home to the present day – one of the very few inhabited medieval castles. It was purchased by Colonel Philip Jones in 1656, during the English Civil War and has stayed in the same family ever since right the way through to the current owner, Sir Brooke Boothby. Fonmon Castle offers a range of meeting spaces – between 8 and 22 guests can be seated at long tables in Lady Anne’s or the Drawing Room with an additional five rooms available catering for up to 80 in total. The Castle is also popular with television producers with the Dr Who 2010 Christmas Special being filmed on location here. The Norwegian Church Arts Centre dates back to the industrial revolution and was formerly a Lutheran Church for Norwegian Sailors. Roald Dahl (whose father was from Oslo) was baptised here and was one of the founding members of the Norwegian Church Preservation Trust which was established in 1987 to raise funds to rescue the church. 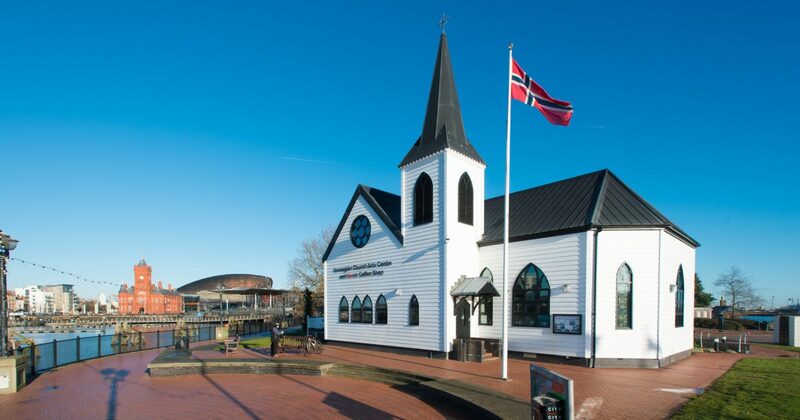 Beautifully situated overlooking Cardiff Bay the Norwegian Church can cater for boardroom style meeting for up to 24 delegates in the historic Grieg Room. This unique venue offers an integrated projection and sound system as well as free WiFi throughout. Here at Sheenco Travel we can organize your next Meeting in Wales with ease from start to finish. All arrangements are personalized to suit your particular requirements and we have many wonderful Welsh venues and accommodations to perfectly fit your business needs. Get in touch with us now to plan your next Meeting in Wales.